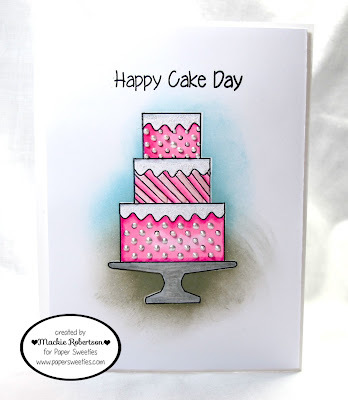 I used this adorable Happy Cake Day stamp set and matching Sweet Cuts! 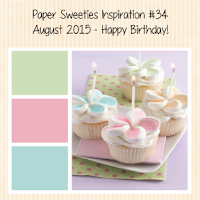 I just love all the birthday goodness of this month's Releases! First, I stamped the cake on to my white card stock. I stamped it again on a Post-It note, and then cut it out. I used this as a mask so I could sponge the background. I pulled up the mask and had this cool background. I colored the cake with Copic markers, then added some details with some Glossy Accents, Wink of Stella Glitter Pen, and white Liquid Pearl. 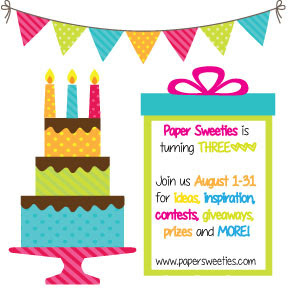 And don't forget we are celebrating our 3rd Birthday!!! Come play with us HERE!!! Awesome card Mackie!!!! I love how you used the mask to create the background! I want to try this!!!! Love that you made the cake the focal point against a simple background! Beautfiul, Mackie!!!! So pretty...I was sure it was popped up when I saw it...love it! Beautiful Mackie! Your cake's a showstopper! Mackie, LOVE your pretty birthday cake and the "pearly" embellishing! Love the clean style! The sponged background provides a nice touch! Oooh you decorated the cake beautifully! This is pretty Mackie! How gorgeous is that pink cake? LOVE LOVE LOVE! Oh, wow! I thought you had fussy cut the cake and put it over the fabulous background. What a great idea to make a mask for it instead. The card is beautiful. 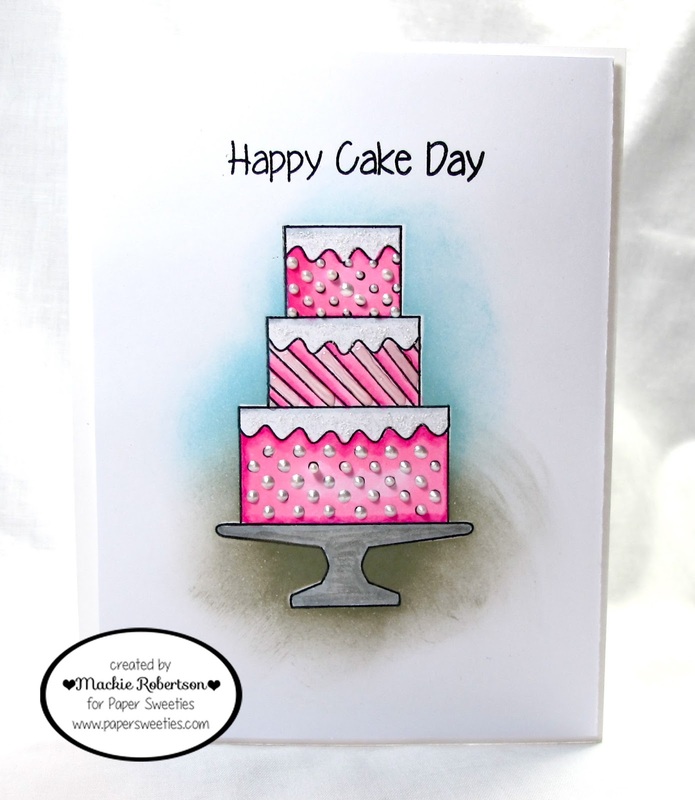 I love the uber-feminine pink cake with the more subtle blue and gray background.